Woven Wood Shades. Studio McGee. 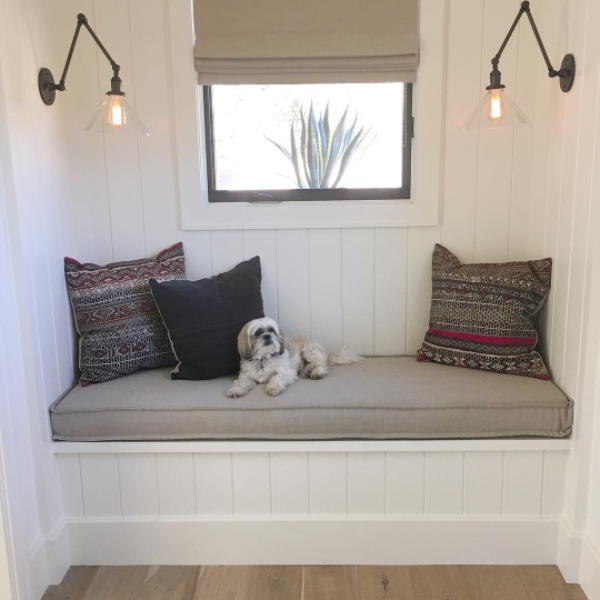 Do you have a window seat in your home, or are you considering adding one? 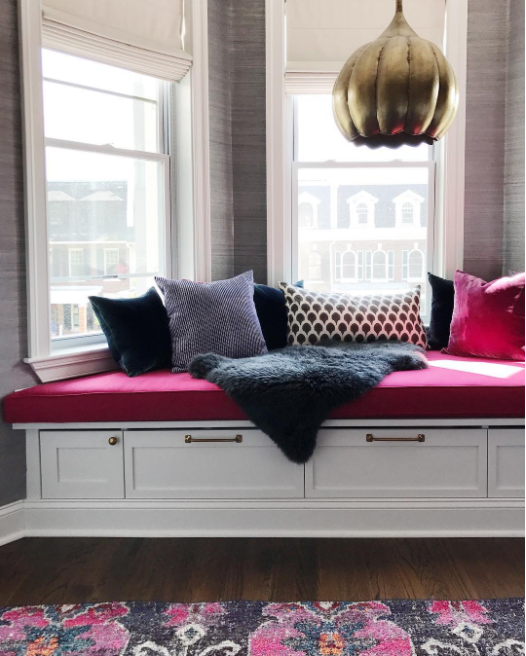 Window seats can be wonderful nooks full of fun designs and comfort, but they can also feel awkward and hard to decorate at times. 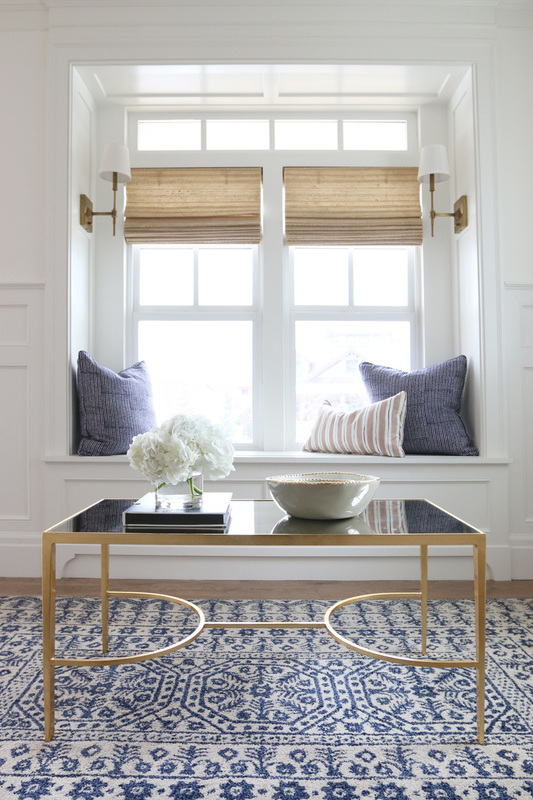 Here are a few of our favorite window seat decor ideas, whether you have a small window in your space, bay windows, or other window and bench arrangements. If you find your window seat in an otherwise inconspicuous area, like a stairwell or hallway for example, consider accentuating the space with interesting colors and textures. This trick works well for window seats at the ends of long rooms as well, where you want to create a separate space for reading or lounging. The designers at Residents Understood used grasscloth wallpaper to distinguish the window seat area, and dressed the multiple windows with simple Flat Roman Shades. You could also use wood paneling or trim painted the same color as the rest of the home for a subtler, but still well defined area. For window seats with multiple windows or beautiful views, you can use window treatments as the basis of your nook’s design. 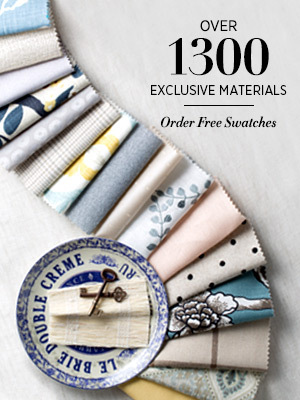 Choose a pattern and color palette that fits in with your design and use that material for individual shades on each window. 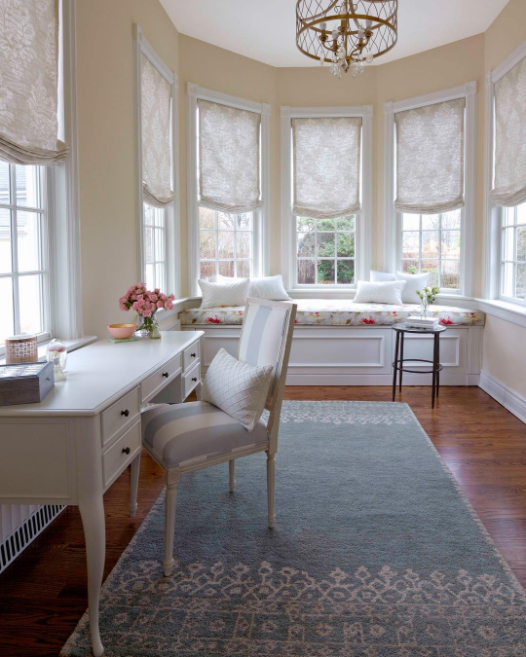 Relaxed Roman Shades add softness and dimension to the multiple windows in the home office below by Pizzigati Designs. A light filtering fabric allows the room to be filled with natural light, while preventing bare windows from looking stark. The inside mounted shades show off the windows’ decorative wood trim work. You can mount your shades at different heights depending on the type of windows in your home. In the photo above, Studio McGee chose to mount Woven Wood Shades below the transom window to maximize light and flaunt the architectural details of the windows and trim. The shades below can be closed for privacy if needed. Window seats are the perfect place to go a little wild with light fixtures. Try mounting two sconces at either end of the seat, and experiment with unique styles like Edison Bulbs (as shown in Jennifer Ferrandi’s photo below) or hang a single pendant light with a bold shade in the center. 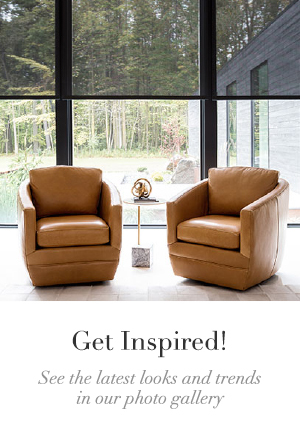 Use our free photo rendering service to experiment with different types of shades in your window seat area – send us your photo and the treatment you’re considering, and we’ll add them into your photo in the material of your choice. 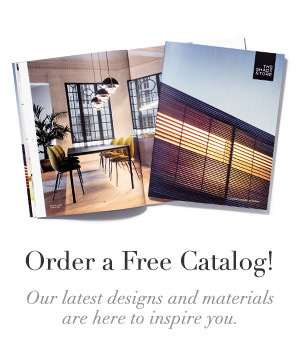 Talk to one of our expert Design Consultants today by phone, email, or in one of our nationwide showrooms.